Ten years ago, superhero films and video-game films were both minor genres. You had your Batman Forever and your Mortal Kombat, but not much else. Both genres blew up in the 2000s, but superhero films won much bigger. For now. And then in the 2000s, CG visual effects caught up to the amazing superpowered spectacles that comics and games had led us to expect. In 2000, Bryan Singer, well-regarded director of The Usual Suspects, directed X-Men, which was a huge success. And the floodgates of superhero movies opened. Meanwhile, we got movies based on Tomb Raider, Final Fantasy, Resident Evil, and a ton of others. But superhero movies have vastly outgrossed video-game movies, according to Box Office Mojo: $7.2 billion to $900 million. (And to be fair, the site lists 77 superhero films, and only 28 video-game films.) Not only that, but directors like Singer, Christopher Nolan, Sam Raimi, Jon Favreau and Ang Lee have been willing to venture into superhero films. By contrast, the most well-known video-game directors are people like Paul W.S. Anderson, and... Uwe Boll. Why is this? There seem to be a few reasons. For one thing, many of the most successful video games haven't yet made the leap to movies. Neill Blomkamp's Halo film could have been the X-Men of video-game movies, but it fell apart. Ditto for Gore Verbinski's BioShock movie, which seems to have stalled out due to budgetary concerns. And it's possible that translating video games to movies requires a higher level of CG mastery than translating comic books — the CG renditions of superhero comics just have to live up to our memories of 2-D pen-and-ink drawings. A live-action CG rendition of a video game, meanwhile, has to look cooler than the already impressive computer graphics most games serve up these days. But also, movie adaptations of video-game films have generally employed the same kinds of story logic you used to see in the Joel Schumacher Batman films. Like, really — the Doom film, which featured evil alien parasites whose tongues could tell if you were genetically evil or not. Let me just repeat that: They had tongues that could genetically scan you and figure out if you were evil. No superhero movie in the past decade has shown that level of disrespect for the audience or the material. Sure, the Tomb Raider and Resident Evil films were a lot better — but even the mediocre superhero films showed a certain commitment to telling a semi-coherent story. Most comic-book heroes have decades of stories in the bank, however contradictory and full of holes, and the films have gotten slightly better about drawing on them. But maybe the crux of it is that superhero films learned the difference between respect for the format, and respect for the characters. In some superhero films earlier in the decade, you saw some half-assed attempts at making "comic book panels" and captions on the screen — this was especially heinous in Ang Lee's Hulk. But as the decade went on, superhero films learned that the format wasn't what made these worlds awesome. Meanwhile, even as video games became more cinematic, the movies based on them haven't been able to distinguish between paying homage to video-game action, versus translating it to the different format. But the other thing that becomes apparent, after you look at all of the superhero and video-game films of the past decade, is that the overall level of quality of both has been pretty bad. For every X-Men 2, Spider-Man or The Dark Knight, there are plenty of films like X-Men 3, Wolverine, Catwoman, Daredevil, and so on. 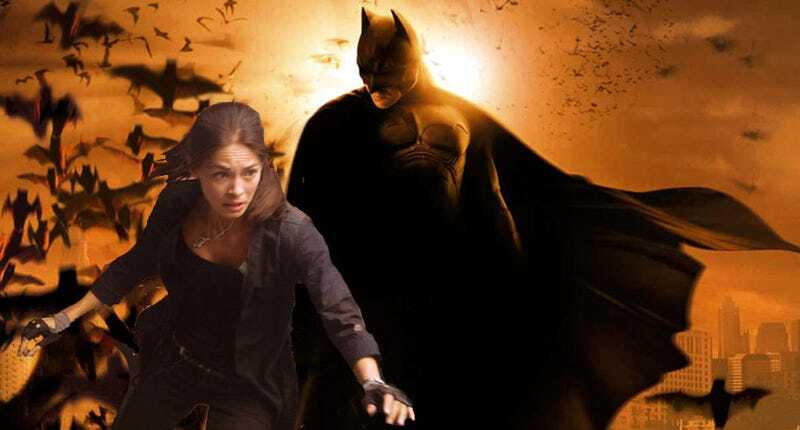 Uwe Boll would have to work overtime and weekends to make a film half as bad as Catwoman. Superhero movies have won, in part, due to sheer quantity — if you generate a large enough mountain of crap, some good stuff will rise out of it. But also, a movie doesn't have to be good to make ten squillion quatloos. But one thing's for sure: The House That Bryan Singer Built won't stand forever. Something's going to come along and knock superhero movies off their perch, establishing a new Hollywood feeding frenzy. Will it be video-game films? Maybe, if the ten video game movies that are in the pipeline actually get made, and achieve Dark Knight/Iron Man levels of success. It really only takes one movie to make half a billion dollars to turn on the firehose of copycats and sequels. And even though Avatar isn't based on a video game, it's enough like a video game that if it has a strong enough second and third weekend, you could see the gears (of war) turning in the studio execs' heads. Avatar could turn out to be the movie that supercharged the video-game movie genre, since its strengths can so easily translate to recreating Dead Space or Bioshock. And of course if Tron Legacy does gangbusters next year, it could also provide a shot in the arm. But right now, the up-and-coming genre seems to be toy movies instead. The two Transformers movies did superhero numbers, and appealed to a similar sense of nostalgia and escapism to superheroes. And there are tons and tons of toys out there waiting for their moment on the big screen — and unlike video-game companies, toy companies don't have any concerns about making sure the movies do justice to their existing stories. A toy movie doesn't have to tie in with existing continuity or jibe with the stories that have already told. A toy movie has one purpose only: To sell toys. And that means toy movies can be dumber, and yet also more spectacular, than superhero films and video-game films combined. Just look at the Transformers films — they're so overstuffed and bloated with nonsense, they can barely move, but they have the power to spew crap for miles in all directions. And now there are films based on Monopoly, Battleship, Viewmaster, Stretch Armstrong, Battle Bots, and countless others on the way. Actual directors, like Ridley Scott (Monopoly) and Peter Berg (Battleship), are signing on to these projects. Toy movies could well win out in the next decade, because the key to success will be casting the widest net for nostalgia among adults aged 18-49. Everybody feels vaguely nostalgic for Monopoly or Battleship — and it's just a matter of time before we get Steven Spielberg's Sorry! or David Lynch's Yahtzee. It's like the perfect combination: Everybody feels nostalgic, but nobody will complain that they got it wrong. How on Earth do you get a Yahtzee movie wrong? It already seems like we're maxed out on superhero films, when Warner Bros. puts the kibosh on Superman and Wonder Woman movies and a Green Lantern film starring "it" boy Ryan Reynolds struggles to get made. If Marvel follows through on its plans to put out four movies a year, we could discover just how many superheroic origins the movie-going audience can stand. So maybe we'll see more of a blend of action/nostalgia pics, with films based on comics, toys, video games and other sources. Or maybe toy movies will just crush every other film genre, until there's nothing but massive CG recreations of your old plastic playthings, as far as the eye can see.